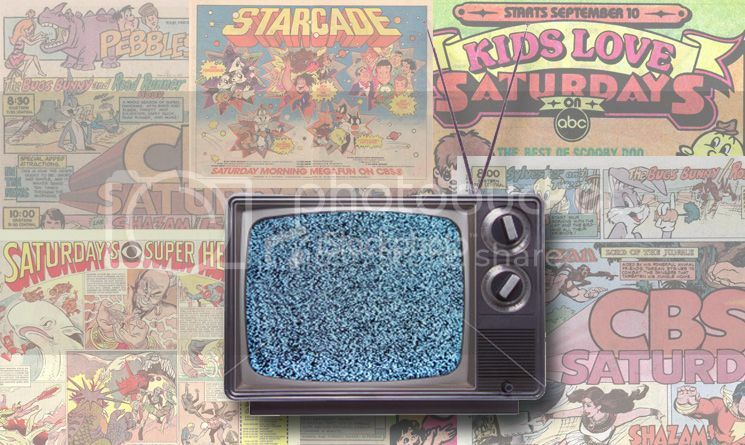 Remember when Saturday mornings used to be so much fun when you were a kid? For me, I'd usually stay up as late as I could the night before (after what I thought was such a "hard" and "long" week at school), and then sleep in as late as I wanted to on Saturday morning. The best part? Whether Dad would make us breakfast or not (his French Toast! ), the even better part of my Saturday mornings growing up was plopping myself down in front of our TV to watch cartoon after cartoon! You know, the kind that were only on once-a-week and not available in an instant through YouTube and/or Netflix? I thought about that recently and decided it might be cool to come up with a new weekly tradition of sorts for us adults to enjoy each and every Saturday morning now that we're all grown up (ok, at least some of us more than others anyway). I mean, isn't it time for us to look forward to Saturday mornings again? Besides, it will be good for us to recall that childlike faith in fun and laughter if only for a few moments each week. You'll remember that laughter was for Luther a sign of divine grace and also an antidote against the devil too. 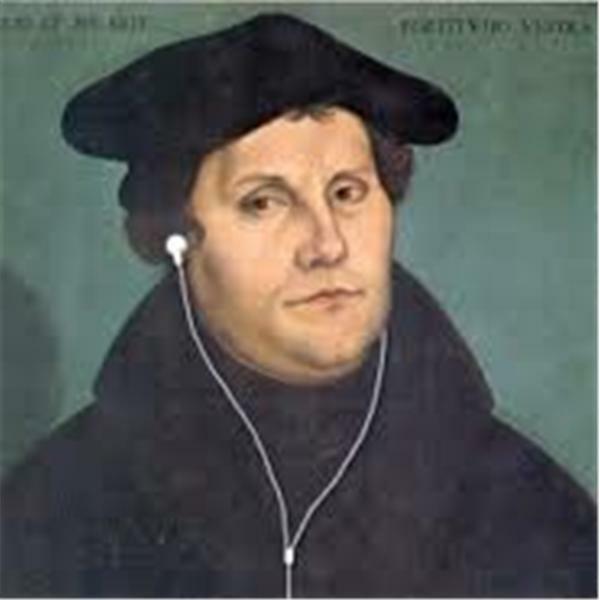 From the very beginning, humor had been a theological topic for Martin Luther, embracing the dramatic scope of his whole world view. He himself explained: "When I was unable to chase away the devil with serious words of with the Scripture, I often expelled him with pranks." And so this unique concept is born! Ok, so it's really not all that "cool" or "original" or "fun" to be sure, but it will be our new tradition here, and I'll try to make it worthwhile too. So who's with me then? Please keep in mind, it won't be flashy, and it will hardly grab and hold your attention like a classic episode of the Care Bears, G.I. Joe, Thundercats, or Voltron would, but these "Lutherandom Musings Along Memory Lane" should satisfy the Confessional Lutheran's appetite for a balanced breakfast that includes your VDMA Vitamins like Vitamin A (Amusement), Vitamin B (Best of the Blogs), Vitamin C (Confessional), Vitamin D (Doctrine), and Vitamin E (Everything Else). Each Saturday morning, God willing, I'll do my best to share some of the things I remember coming across in my unpredictable journey through Cyberspace during the week (hence, the "Along Memory Lane" part). Of course, this is also where the things you send me via email (if any) will show up too. Ok, enough with all the commercials! Let's get the show started already, shall we? 8:00AM DOSE OF VITAMIN A (AMUSEMENT): This picture from this past week is hilarious simply because of the caption that's associated with it: "We're terrified of this giant shrimp because we're allergic to oxymorons." Ha! Whether it's a hoax or not, I loved that comment! 8:30AM DOSE OF VITAMIN B (BEST OF THE BLOGS): Pastor Peters at his always exceptional Pastoral Meanderings blog just published a piece about "A Calling Higher Than Desire..." that's highlights a rarely heard perspective from those who struggle with homosexual lifestyles and temptations. 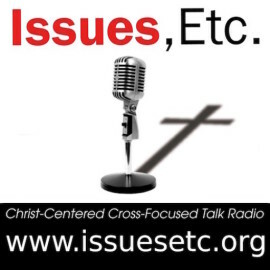 9:00AM DOSE OF VITAMIN C (CONFESSIONAL): Here's Lutheran dogmatician Francis Pieper on error and truth: "The Christian Church can and should have patience with the erring and seek through instruction to remove the error. But never can or should the Church grant error equal right with the truth. If it does, it renounces the truth itself. It is the very nature of truth to antagonize error. Truth which no longer excludes error, but grants it domicile, is eo ipso resigning as truth. Pertinently Luther remarks: 'Whoever really regards his doctrine, faith, and confession as true, right, and certain cannot remain in the same stall with such as teach or adhere to false doctrine.' Unionism in principle abolishes the difference between truth and error." In short, this statement reminds me of the hypocrisy by the "Church Growth"/"Missionalist" crowd in the LCMS today. 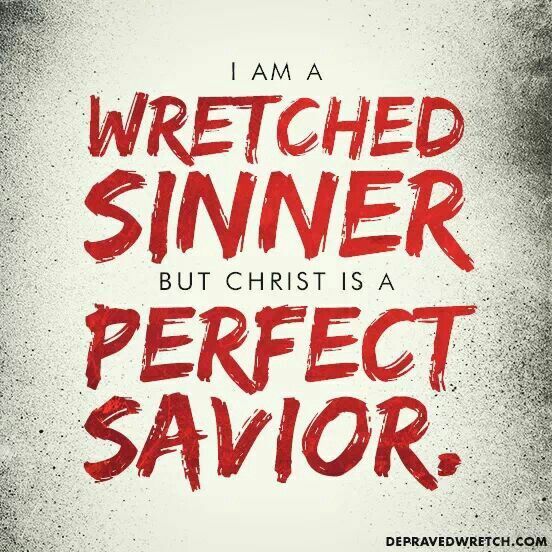 All this talk of being "radical" for Christ, and yet, when an individual does one of the most "radical" things he/she can do as a Christian today -- that is, lovingly and patiently make a conscious decision to speak out against family members and friends within the church who are believing, teaching, and confessing error even if it means being alienated and shunned by loved ones -- then they are the ones who are being "divisive" and "unloving" for merely wanting to have a discussion. What a shame indeed. Words like Pieper's bring Lutherme some measure of comfort though. I mean, Luther was right when he said we "cannot remain in the same stall" even though the ironic point is that those who are willing to speak up are doing so for the sake of trying to keep everyone in the "same stall" so-to-speak. 9:30AM DOSE OF VITAMIN D (DOCTRINE): John 20:30-31 (ESV) "30 Now Jesus did many other signs in the presence of the disciples, which are not written in this book; 31 but these are written so that you may believe that Jesus is the Christ, the Son of God, and that by believing you may have life in his name." My Lutheran Study Bible says about this passage: "When John 20:30 refers to 'this book' it's talking about John's Gospel. John not only states the purpose of his Book, but summarizes succinctly its content. 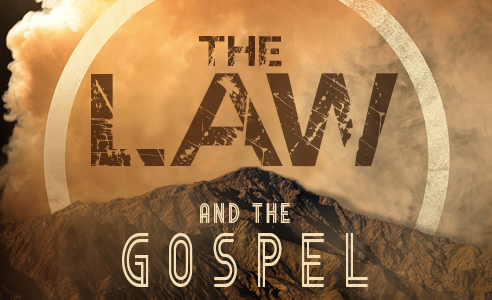 John, the author of this Gospel, clearly states its purpose and summarizes its central message. People commonly and mistakenly think that biblical books were written mainly to provide rules for godly living. Speaking through John, God announces the Good News that Jesus is His Son and that by faith in His name, we have life and salvation -- the core message of the entire Scripture. Lord, let me gladly share this Good News that others may believe and live. Amen." 10:00AM DOSE OF VITAMIN E (EVERYTHING ELSE): The Esgetology blog has an excellent piece titled "Vocation And Virtue: What's The Purpose of a School?" that's perfect for this time of year. In fact, my own kids just completed their first week back to school as Luke started 4th Grade and Amelia 3rd. Sorry, but that's all I have for you this week. In a Lutheran Layman's terms, you've been fed a balanced spiritual diet this morning so I hope you're full and wide awake and ready to face the day. NOTE: NOTE: As you know, I am a newly converted Confessional Lutheran who recently escaped American Evangelicalism. That being said, please contact me ASAP if you believe that any of my "old beliefs" seem to have crept their way into any of the material you see published here, and especially if any of the content is not consistent with our Confessions and Lutheran doctrine (in other words, if it's not consistent with God's Word, which our Confessions merely summarize and point us back to) so that I can correct those errors immediately and not lead any of His little ones astray (James 3:1). 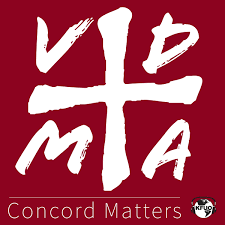 Finally, please be aware that you might also discover that some of the earlier pieces I wrote on this blog back in 2013 definitely fall into that category since I was a Lutheran-In-Name-Only at the time and was completely oblivious to the fact that a "Book of Concord" containing our Confessions even existed. In addition, there are some entries that are a little "out there" so-to-speak since the subject matter was also heavy influenced by common Evangelical concerns/criticisms that perhaps wouldn't be too big a deal for us Lutherans. I know that now and I'm still learning. Anyway, I decided to leave those published posts up on this website and in cyberspace only because we now have this disclaimer and only to demonstrate the continuing work of Christ and the Holy Spirit in my life (Hebrews 12:2; Philippians 1:6). Finally, please know that any time we engage in interpreting a specific portion of Scripture exegetically, it will always follow the verse-by-verse notes from my Lutheran Study Bible unless otherwise noted. Thank you for stopping by and thank you in advance for your time, help, and understanding. Grace and peace to you and yours! What Do Lutherans Believe About Baptism? 'Fellowship' At Any Cost? Where Is Jesus!? !